In Part 1 of this study we looked at various aspects of the Dual fulfillment of Rev.12, emphasizing some of the astronomical elements of this record. One of these elements was the Serpent-Dragon, where we noted the significance of Draco the Dragon, and the Draconid Meteor Shower during the birth of Christ in 3 BC, as opposed to the celestial signs tied to the Serpent–Serpens, in the end-times meaning of Rev. 12, on 9-23-17.
seven2033 crowns1238 upon1909 his848 heads. This is the first of 13 uses of “dragon” in the Book of Revelation, indicative of the disorderly and rebellious nature of the fiery Red Dragon. Again we find a seven fold order of the Dragon’s spirit kingdom referenced in the Dragon’s seven heads along with the 7 crowns upon his 7 heads. The 7 heads likely refer to seven ruling [unclean spirits-daimon; Revelation 16:13-14], who embody a leading aspect of the Dragon’s authority over his earthly kingdom, and his spirit realm. John’s Revelation in Chapter 12 of the Dragon and the Woman. Our emphasis in Part 1 revolved around how the Meteor Shower from Draco was the focus, which changes later to the Constellation of Serpens-the Serpent. This change is not only noted in the astronomical setting, but as we will see, it is also part of the Biblical record in Rev. 12. In verses 9-10 below we find certain names of the adversary, describing traits of his nature and operations, yet they still refer to the same enemy. 9 And the great dragon was cast out, that old serpent, called the Devil, and Satan, which deceives the whole world: he was cast out into the earth, and his angels were cast out with him. 10 And I heard a loud voice saying in heaven, Now is come salvation, and strength, and the kingdom of our God, and the power of His Christ: for the accuser of our brethren is cast down, which accused them before our God day and night. The first two names in verse 9 are the Dragon and the old Serpent, referring to differing elements of the same enemy. The 7 heads generally refer both to the dragon and the serpent but in different constellations, and settings. Draco is at the North Celestial Pole while Serpens is on the ecliptic. Draco includes a time before the dragon was cast down, resulting from the war in heaven that took place in the 1st Heavens and Earth, [2 Pet. 3:3-7]. This is consistent with the symbolism of the Dragon who embodies the war and conflict with God. The Serpent-Serpens not only embodies the contest for dominion in its struggle for the Crown with the first Adam, [Gen. 3] but the 2nd Adam also, as the deceiving tempter [Matt. 4, Lk. 4]. The Serpent’s conflict with man was not initiated until after the Dragon was cast down, since man did not become involved in the war in heaven, until after he was created in the Second Heaven and Earth, [Gen. 1:26-28]. The war in heaven involved only the angelic realm initially, between Michael and his angels against the Dragon and his, [Rev. 12: 7-8]. Adam-Jesus Christ permanently sealed the serpent’s fate, he was caught up unto God and his throne, [Rev. 12:5] whereupon the serpent’s efforts to persecute the woman, shifted to make war with the remnant of the woman’s seed who keep the commandments of God and have the testimony of Jesus Christ, [Rev. 12: 17]. This again illustrates the dual fulfillment of the “woman,” as Mary and Israel, her seed as the 1st and 2nd Adam, and the adversary in his multiple serpentine guises seen in his various names and functions, first at war with God, and later with man, [Rev. 12:9-10] for Corona Borealis-the Crown of dominion. This again helps us see in detail, the dual fulfillment inherent in the Rev. 12 record. A key element in grasping this dual fulfillment of Rev. 12 involves how the 12th Chapter of the book of Revelation opens with references to signs of the Mazzaroth- the Hebrew Zodiac. This is a clue that we will not fully grasp the truths contained here, without an understanding the principles of Biblical Astronomy. God’s eternal purposes and plan to re-order the ages [Heb. 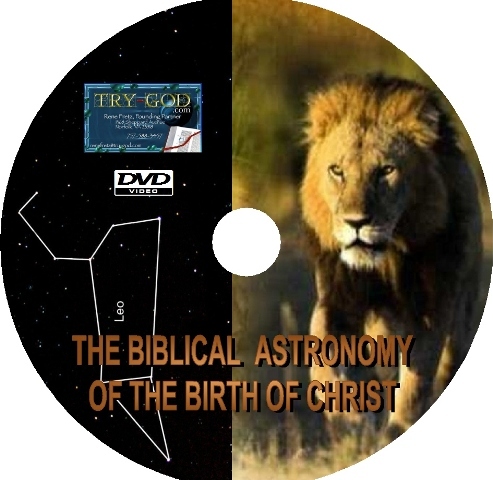 1:2] in the first and second Advents of Jesus Christ, are told in the Gospel of the Stars set in the heavens by the Almighty at Creation. [Gen. 1:14-17] exhibits how this order of Creation [Rom. 1:19-21] aligns with the order of His Written Word [Ps. 19] as seen in the Celestial Gospel. As the heavens are God’s perfect timepiece of Creation, so Jesus Christ is the temporal centerpiece and the Agent of the Creator’s master-plan for all his-story. 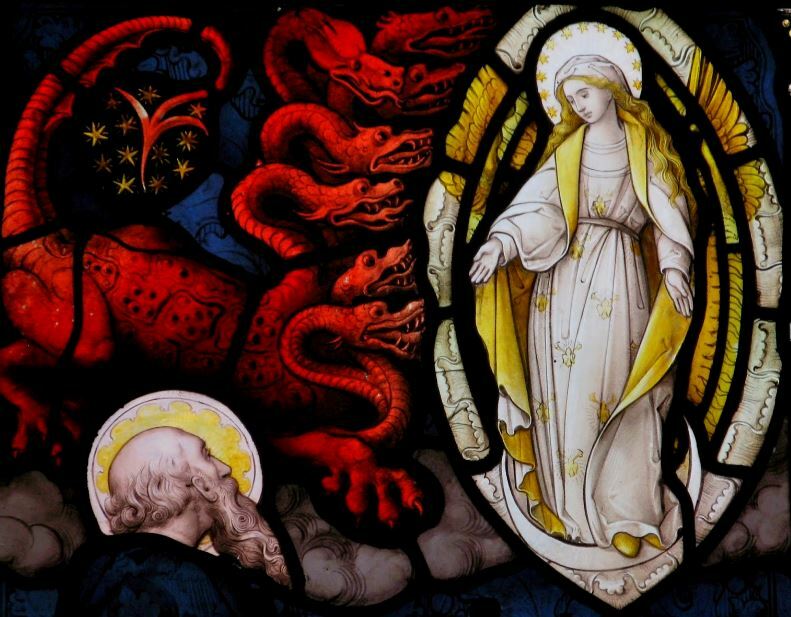 It is only through Christ that all Creation is redeemed, and the temporal and spiritual chaos that infected all Creation via the dragon’s revolt, is healed via the re-ordering of the 7 Spiritual Administrations or Ages representing the consummation of all time. 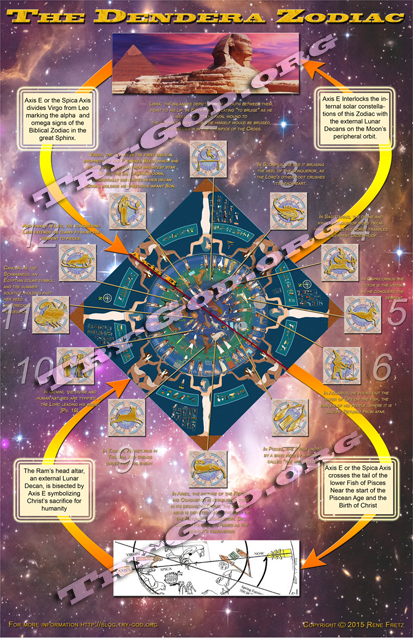 We can see the Celestial Gospel highlighted in the recent triple planetary unions circling the Alpha and Omega Signs of Virgo and Leo, marking the primary stars of the Celestial Sphinx. In last month’s blog post concerning Saturn’s retrograde motion in Ophiuchus, we noted how this was only one of three concurrent triple planetary conjunctions leading up to the Rev. 12 sign on 9-23-17. These multiple planetary retrogrades carry a special message and end-times epistle. Ophiuchus is conclusively identified with Christ in the triple union of Saturn with the star Saiph in the serpent-holder’s left foot, meaning “bruised.” Part 2 of this study focuses more on the aftermath of celestial signs following the Rev. 12 scenario on 9-23-17. The Total Solar Eclipse across America in Leo, 8-21-2017. Lunar Occultation of Regulus in Leo, 8-21-2017. As we mentioned above, during this time frame Mercury-Regulus was also involved in a concurrent triple conjunction in Leo culminating on Sept. 9th of 2017. The dates for this key triple planetary union series based on Mercury’s retrograde motion are below. As Mercury ends its retrograde motion in Leo looping around Regulus, Jupiter also completes its retrograde loop of Spica in Virgo. This depicts the Celestial Sphinx as the primary stars of both Virgo and Leo are the focus of the retrograding planets Jupiter and Mercury. 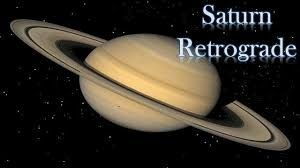 Both of these retrogrades culminate on Sept. 9th, as Jupiter exits Virgo’s womb. The Celestial Sphinx marks the Alpha and Omega stars of the Hebrew Zodiac with the head of the woman Virgo unified with the body of Leo the Lion, both punctuated on this day. This recalls the Sun’s annual course on the ecliptic [Ps. 19:4-6], relating the Gospel in the stars telling the story of our Coming Redeemer, in his first and second Advents. This is the basis of Biblical Astronomy through the Ages, and it also views the ecliptic as one of Virgo’s Crowns, as the Head of the Sphinx since Mary bore the Promised Seed. 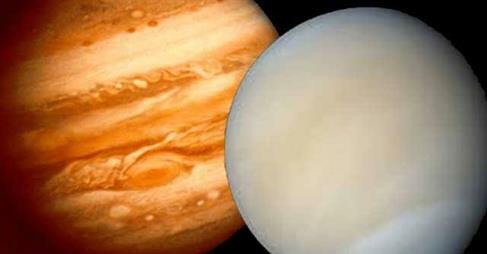 A month after the “birthing” of Jupiter, on October 13th Mercury passes 1 degree South of the King planet in Virgo.2 Here Mercury heralds the birth of Jupiter, establishing their recent concurrent retrogrades and mutual triple conjunctions, in a unified message of the Witness of the Stars. Its like the heavens took a “pregnant pause” for Jupiter’s birthing, before the purpose of their Creation is manifested. The Celestial witness has been circulating in the skies since time immemorial, revealing the heavenly signs of the Birth and Return of Christ, and now in the end-times when time is short, the entire history and stellar testimony is glorified in preparation for the Returning Lord Jesus Christ! This October 13th Jupiter-Mercury union in Virgo recalls a similar union of these two planets a year earlier almost to the day, on Oct. 11th, 2016, in a pre-dawn Mercury conjunction with Jupiter, as Mercury passed within a degree of Jupiter in a Sunrise union.3 Its important to realize that this occurs during the Jupiter-Venus conjunction series from 2015-2017, as part of the Celestial Sphinx signs in Virgo and Leo. This conjunction series includes two triple unions of Jupiter-Venus, one each in Leo then in Virgo, the head of the Woman united with the body of the Lion, as the two main components of the Great Sphinx. We find this manifested also at the birth of Christ in a dazzling Jupiter-Venus conjunction in Leo on June 17th of 2 BC. It was also 2 Jupiter-Venus conjunctions that actually bracketed the majority of heavenly signs marking the birth of Christ in 3-1 BC! The 1st Jupiter-Venus Conjunction marking the birth of Christ took place on August 31st, 3 BC, in Leo, with the last one occurring on August 21st, 1 BC, in Virgo. Here we find an interesting variation on a Celestial Sphinx sign directing us to the planetary unions of Jupiter-Venus, marking an initial fulfillment of the Rev. 12:1-2 prophecy relating to the sufferings of Christ in his ministry as the Passover Lamb. This alerts us that we should also look for similar Celestial Sphinx signs as a precursor to the Lord’s Second Coming. Near dawn in the first days of November 2017, Venus the Morning Star following Jupiter through Virgo, passes by Spica-Al Zemach, the branch and offspring of God appearing closest before sunrise on November 2. 5 Spica, shining in its 1st magnitude brilliance, illuminates the four fold ministry of Christ it embodies in Scripture, seen in the spiritual light of the four Gospels. When paired with Venus, the 3rd brightest object behind the Sun and Moon, this conjunction is one that deserves our attention. The Nov. 13th, Jupiter-Venus union finds the bright and Morning Star, less than 1/3 of a degree apart, 6 [Rev. 22:16] from the king planet. Do you think the Heavenly Father wants us to notice these signs of the Celestial Sphinx? During this Jupiter-Venus conjunction we find Mars mid-body in the constellation Virgo. Both Mars and Jupiter are moving east, Mars in Virgo, while Jupiter is moving east through Libra. 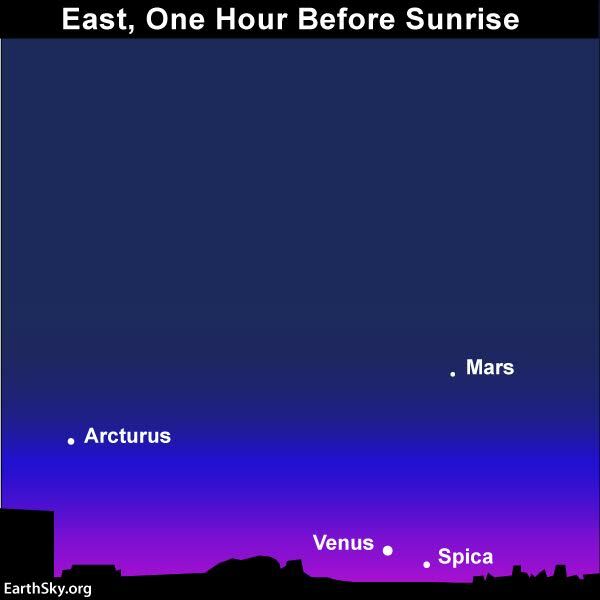 In late Nov. 2017, we find Mars the archangel Michael moving into conjunction with Spica in the morning sky. This conjunction takes place on November 29th, with Mars only 3 degrees north of Spica.7 This completes a parade of planets through Virgo, forming her crown in Leo on 9-23-17, commemorating Jupiter’s birthing from Virgo’s womb. After the November 13th union, Jupiter continues its ecliptic path on the way to Libra, then after completing its 2017 retrograde in Virgo, at midnight in Israel on December 25th, 2017, Jupiter enters Libra where it remains 41 weeks, in a subsequent 9-month retrograde in 2018. In the morning sky on January 7, 2018, Mars finally overtakes Jupiter in Libra, in an eye-opening conjunction, with Mars less than one-quarter degree separated from Jupiter.9 The Jupiter–Mars conjunction of January 7th 2018 takes place after the first of 3 unions Jupiter will undergo in Libra, as a result of Jupiter’s retrograde motion, this time with Libra’s brightest star- Zuben Elgenubi. In mid-December 2017, Jupiter in direct motion passes less than a degree North of this star, meaning “the purchase or price which is deficient,“10 in its 1st conjunction. Jupiter’s union with this Alpha star in Libra speaks to man’s inability to redeem himself, because he has been weighed in the balances and found wanting. Jesus is the only one ever who was not only qualified, but actually laid down his life for all mankind, which is why he is the only Way of Salvation, the Alpha and Omega-the first and last way God has made available for the redemption of all humanity. The Akkadian name for LIBRA was BIR, meaning: “the light,” where the lamp with its light, or the altar and its fire were symbolized. The emblem by which LIBRA is still known today appears much more like the top of an altar, than a pair of balances. This agrees with the message of the Mazzaroth better than “the scales” because the tribe of Levi was linked with Libra, as the Levites were the Hebrew priesthood who had charge over the holy altar, and the “balance of the sanctuary.” The sacrifice linked with the Passover Lamb under OT Law, (Capricorn & ARIES), foreshadowed the once and final sacrifice Christ paid, the perfect price of redemption for all mankind. The ancient shape of this heavenly altar was circular. The circular disc of the altar is preserved in its two circular scales, forming the modern sign of LIBRA. At one point the circular picture of the altar of LIBRA disappeared, as the use of this sign penetrated the Occident. When it reached Greece only the “Chelai” remained; which is the Greek word for the sign, meaning “the claws.” As a result the scorpion of SCORPIO, depicted in the heavens as reaching towards the pair of scales in LIBRA, came to symbolize both signs, its body-SCORPIO with the claws supplanting LIBRA. 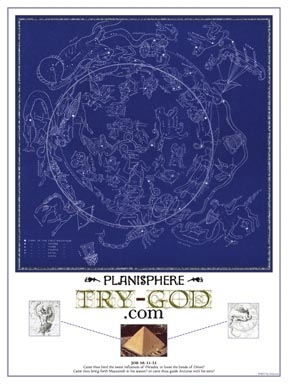 Since the Levites had charge of the Tabernacle services, whose tent was located in the center of Israel’s wilderness camp, surrounded by the 12 tribes in their zodiacal order, the sign of the altar was removed from the outer circle of the ecliptic. Being positioned in the center of the circle Libra embodied God’s presence among His people [Num. 2:17]. This documents the historical process of how the pair of circular scales depicting LIBRA were substituted for the ancient circular altar. By covering the meaning of the altar, the Mazzaroth message was clouded and eventually lost for a time. On the ecliptic, SCORPIO appears just left of LIBRA. In the Akkadian the Scorpion was called GIR-TAB, meaning “the seizer and the stinger.“15 Some ancient sources relate SCORPIO as the only triple sign of the Zodiac, reflecting the triune ministry of the thief to steal, kill and destroy, [John 10:10a]. At the same time the “destroyer” aspect of the Scorpion [Rev. 9:11], while stinging Ophiuchus in the heel, stretches out its claws to seize the altar. The Hydra is the longest of the Constellations, extending below Libra’s scales through Virgo and Leo to include Cancer. These four signs; the woman, her seed, his sacrifice, and the altar, not only represent 1/3 of the entire circle of the 12 signs of the zodiac, but also reflect a carnal image of Christ’s righteous sacrifice, in the religion of human works, attempting to earn salvation while ignoring the completed work of Grace, given by God in His only begotten Son. Thus, as the Hydra [the serpent destroyed] slithers below these four signs of the zodiac, he represents the counterfeit and the deception of anti-Christ, leading away from, and denying the true work of Christ. This is an important and ongoing aspect of the devil’s works that Christ came to destroy; [John 10:10, I John 3:8]. The man “Ophiuchus” personifies both the first and second Adam, is engaged in a death struggle with the serpent, for the dominion of the world, symbolized by the crown. We can see this because it was the devil in serpent form, who stole the crown from the first Adam; and again the serpent struggling with the perfect 2nd Adam-Jesus Christ; who now has dominion over the world. Not only does the serpent fail in the attempt, but is utterly defeated and trodden under foot [Ps. 91]. The Scorpion’s conflict represents an aspect of the Serpent, in how the enemy tries to seize on God’s true atonement, and substitute “the way of Cain” as his own counterfeit religious altar of human merit, replacing the atoning sacrifice of Christ. The idea of salvation by works has been around a long time, and was in large part of what the Protestant Reformation was fought over. In SCORPIO we can see the effort of the Scorpion to wound the man in the heel, depicting the serpent in Genesis 3:15, while the other foot of the man is placed over the red heart of the Scorpion; Antares showing it’s destruction in the conflict. The Hebrew name of the Scorpion-akrab, meaning to war or conflict, is referred to in Psalm 91. As we recall the spiritual authority of our Lord Jesus Christ, seated at the right Hand of God in the heavens, we should be mindful that we retain this same authority over the enemy, since we have been raised to be seated in Christ at the same apex of spiritual power, [Eph. 2:5-7, Lk. 10:17-20]. We find evidence of this also in Rev. 12 below. God,2316 and2532 to his848 throne. This verse encapsulates the victorious life, ministry and completed work of Jesus Christ, from birth to resurrection and beyond, in one verse of Scripture. This figure of speech is called symperasma, provides a summary and conclusion of the subject matter-the inevitable Coming and ultimate Victorious Return of the Promised Seed. The emphasis here shows Christ’s ultimate victory over the serpent and its seed, despite all the enemy’s efforts to obstruct the purposes of the Heavenly Father. This emphasis is monumentally preserved in the Great Sphinx with the head of the Woman Virgo bearing the infant promised seed, who matures to fulfill his highest of calling, by defeating and destroying the enemy and its work, as shown in the other 9 zodiacal signs between Virgo and Leo. His final victory over the serpent is witnessed in Leo, the Lion of the tribe of Judah [Rev. 5:5], as the Lion’s extended claws rend the Hydra to pieces. As we are assured of final victory we need only walk in the full confidence and Love of our Lord, knowing that He is coming quickly to exhibit us to the Heavenly Father for all eternity! 2. Ibid, on the October 13th, 2017 Jupiter-Mercury Conjunction. 3. Ibid on the October 11th, 2016 Jupiter-Mercury Conjunction. 4. Ibid on Jupiter-Venus conjunction graphics and dates. 5. Ibid on Venus-Spica union in Nov. 2017. 6. Ibid on Jupiter-Venus union on Nov. 13th, 2017. 8. Venus and Mars in Virgo near Spica, Nov. 2017 picture credit from Bob McClure. 9. Starry Night Pro, Astronomy Software on the Jan. 7th, 2018 Jupiter-Mars union. 12. Libra and Scorpius From Jamieson circa 1822. 14. Witness of the Stars, E.W. Bullinger p. 47. 16. Germanic Astronomy and Mythology-picture credit.